Pumpkin and Honey Crisp Apple are among the Original Fall Favorites Cake For Limited Time offerings. The promotion urges “Try Them All Before They’re Gone” and the display makes a totally visual plea. “Inspired Creations” the sign says, so try while you can. 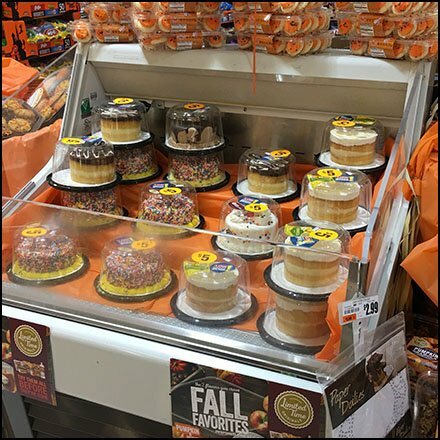 This Original Fall Favorites Cake For Limited Time pitch seen at Giant, Bartonsville, Pocono Mountains, PA.